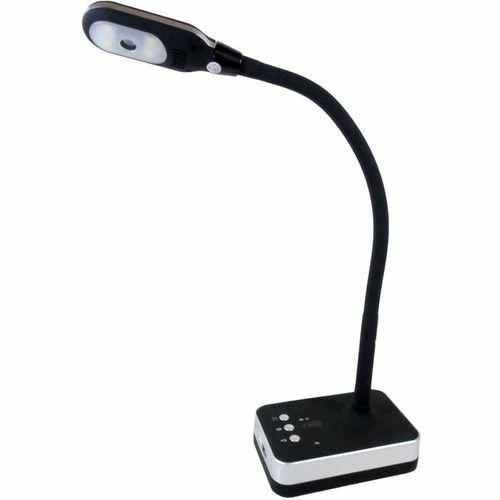 This low cost visualiser / document scanner is supported by powerful enhanced USAVI software to make this a very versatile and portable product. 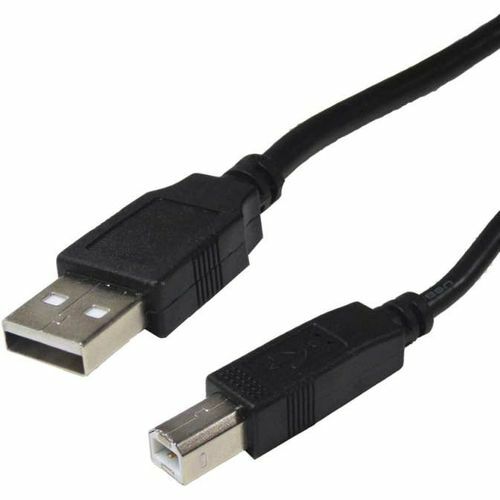 This 5 mega pixel good quality auto focus facility visualiser that includes a slot so that you can use a Kensington style anti-theft cable and lock, making it ideal for use in public areas. Maximum resolution of 2560 x 1920 the camera is precise and the video response is very fast at lower resolutions. The video formats are : - JPG, TIF, PDF, BMP, TGA, PCX, RAS. There are 4 white LED lights that can be brightness adjusted for optimum illumination, and a USB port. N.B.Not currently Apple Mac compatible. 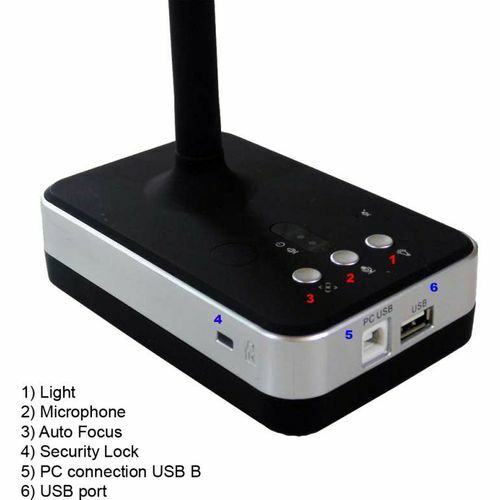 To ensure that you receive the latest version of the software the latest software available for this U600L USB 5 Megapixel Goose Neck Visualiser (USAVI V1.41), we have not included it within the box. After you have received the product please contact us and we will be happy to send you a download link. Software features include powerful editing capability that can select, cut out, rotate, resize, add text and shapes, highlight, erase, remove scanned image or any selected text or shape. Also adjust text,font, colour and style. Multi language comptible OCR software with PDF converter.